When my family first came to England, I remember my father asked my brother and I, aged 5, to sit in the car and wait. I remember waiting for a very long time. So long that a policeman knocked on our windscreen. We didn't know what he wanted or what he was saying but both of us cried in horror, in silent horror. We both pushed our bodies to the other side of the car away from him and hid our faces in our hands and each other. We feared the police because when we grew up in Vietnam, the police-the communist were men whom everybody feared. They would check our homes every day to make sure that we were clear of betraying their regime and behaving accordingly as they wished us to like good comrades. I feared the man in a hat and his green uniform with a red badge more than anything. He would carry a gun and he would always shout and tell people off. 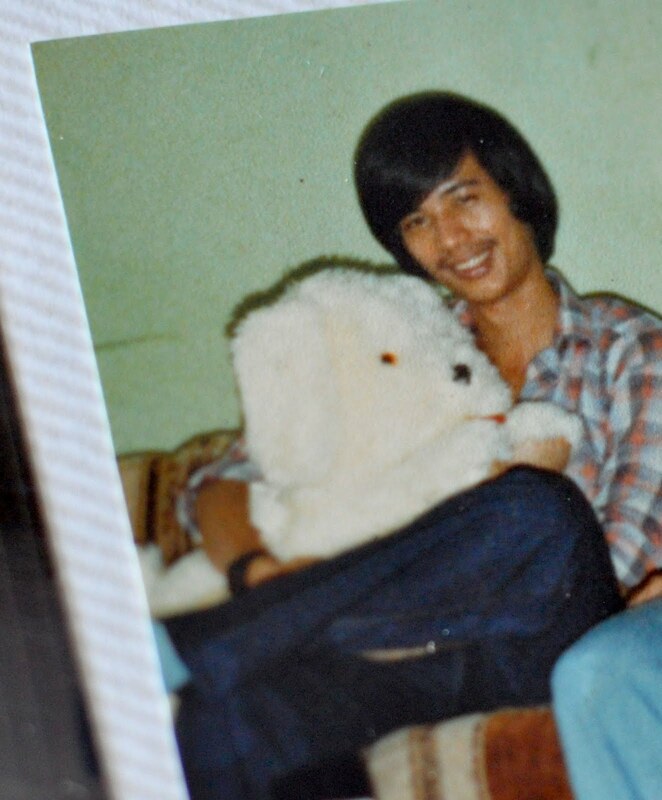 Thirty years later, holding back a tear in his eye, my Uncle Thu hadn't realised that when I asked him about the elephant man, he would be trapped into an hour long interview with his eldest niece about the past, something he hardly ever talks about, about a time that would determine his life or death and all of our destinies. In his most serious tone (this rarely happens), in his Texan, Vietnamese accent, Thu, whispered, "you knew that if you step on the boat, you chose to die, you know that right?" As I child I knew no better, I was making daisy chains with my teenage aunties, singing songs and being stroppy with fellow toddlers. They did their best to distract me and made sure I had a happy childhood. But in actual fact, Vietnam after the war was a place no one wanted to be in, that millions and millions of people would all rather die than face a future with a communist government. 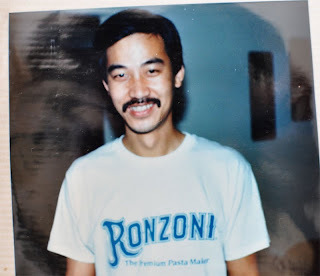 I was too young to remember when Uncle Thu left but I always knew of him because he would always send me something from America. Everybody had to escape in secret, not even telling their own families what they were up to sometimes in case the family would get into trouble with the police. My uncles, including my father tried to escape many times, mostly unsuccessful. 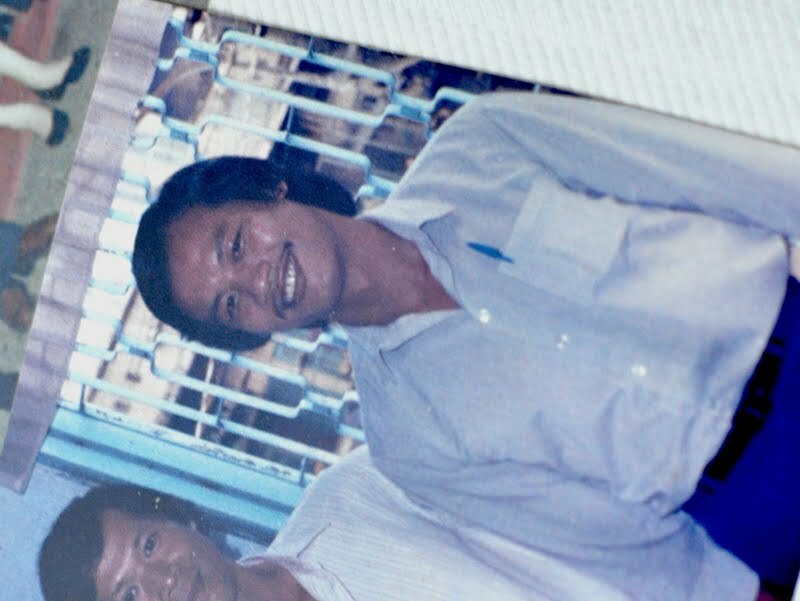 One day, Uncle Thu and Uncle Vinh made it onto a 5 metre long boat with 15 or so other people. They had made it out. After a couple days in the open sea they ran out of food and water and eventually, they ran out of fuel. They waited anxiously for some rescue and finally, to their surprise, an Indonesian boat passed by. "We were so happy, we felt so lucky and couldn't believe it." The boat refused to help them, even though people tried to climb onto it, the boat pushed the people back into the sea and abandoned them. It was such sadness, like all the hope they had was pulled from under their feet. "We were so tired, the most exhausted I have ever been. We just thought we would die but that night, the boat came back." This time, the men on the boat who must have felt their conscience grip tightly bought back food and water and some fuel and told them to go in a certain direction as they had no navigation tools. Unknown to what was ahead, they faced a big storm. The engine broke and all they could do was cling on for their lives onto the edges of the flimsy boat they sat on, vigorously pouring water out of the boat with their hands and a few buckets they had on deck. The storm eventually calmed and passed and they were still alive after 7 days, after 10 days… they drifted into more starvation and thirst. On the brink of death, drifted like logs into the Indonesian Navy who rescued them, watered them, fed them and showered them. The Navy bought the people back to land but as soon as some people stepped onto land, they collapsed and died. "It was the opposite of seasickness - after the storm and drifting at sea - and after all we went through, it was ironic that arriving on land killed them." Mu uncle tells me he was reborn the moment he stepped onto land. Not believing his luck to still be alive. The young handsome brothers spent a year working in the Navy in Indonesia until they met a nun who decided to help them out. She had some relatives over in New York who would sponsor them. I imagine the two young men would probably win the hearts of many. So with the navy, they went. They came to harbour in New York with the clothes on their backs, a toothbrush and $20 each from the Navy. "Go! They said. This is where we part." "It was freezing," said Uncle Thu, "we didn't have anything, no jacket, no home, no place to go, no food...we just followed some others, explained our situation and kind people helped us." The brothers moved from home to home, mainly sharing small rooms with other people in Brooklyn. Eventually Vinh got a job as a mechanic on minimum wage and supported his brother Thu through to college as a Computer Engineer. "We used to go to the beach and hunt for crabs," says Thu with a warm chuckle for his brother,"whatever he had, he always gave me half. He loved hunting for crabs and lobsters. They were free and delicious." Whatever they had, which was very little, they still managed to send me chocolates - I remember M&Ms, money for my grandmother and gifts for everyone else. Meanwhile, my grandmother had an idea to sell Bun Bo Hue in our house. She had to help her other son, Hien, who tried to escape. The 127 people on his boat were all thrown into prison in a valley (so they can see it when people tried to escape). They often displayed corpses til they would rot to make an example and to enhance fear. 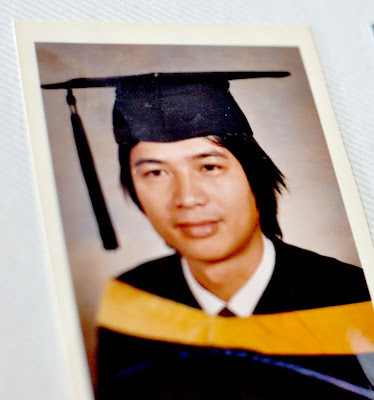 Uncle Vinh still lives in Queens, New York with his wife and two sons. Uncle Thu moved to Austin, Texas and has a successful business in electronics. He has a wife, two sons and a young daughter.